After receiving his undergraduate degree at Arizona State University, he attended the University of Arizona Medical School in Tucson Arizona. Dr. Porter completed two years of General Surgery training. He then completed his residency in orthopaedic surgery at The University of Arizona, followed by a sports medicine and arthroscopy fellowship in Tucson Arizona under Robert Hunter, M.D. and William H. Grana, M.D. During his years of surgical and orthopaedic training, Dr Porter worked for 8 years as an Emergency Room Physician at St. Josephs Medical Center and Northwest Hospital in Tucson Arizona. He also worked as an attending orthopaedic trauma surgeon at University Medical Center in Tucson Arizona. Dr. Porter has had the opportunity to consult for several professional organizations including The Colorado Rockies, Chicago Cubs, Phoenix Coyotes, and World Wrestling Entertainment. He is currently the team Physician for Central Arizona College, Chandler-Gilbert Community college and several local high school teams. 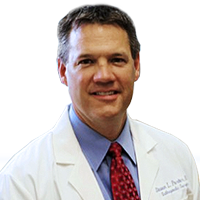 Dr. Porter is a Fellow of the American Academy of Orthopaedic Surgeons, and a member of the Arthroscopy Association of North America, the Arizona Orthopaedic Society and Arizona Medical Association. Dr. Porter has privileges at the Arizona Orthopedic Surgical Hospital, Arizona Spine and Joint Hospital, Scottsdale Healthcare System Hospitals, Gilbert Mercy Hospital and Banner Gateway Hospital. Dr Porter was born and raised in Arizona. He is fluent in Spanish. He attended Mountain View high school where he was selected as a first team All State Football player. Dr Porter served a mission for the Church of Jesus Christ of Latter-Day Saints in Osorno, Chile. He continues to be active in sports and enjoys being involved in the community in treating injuries of athlete of all ages.